An environmentally friendly product known as hydrocarbon, or petroleum is used to dry clean all garments. This cleaning solution does an excellent job cleaning your dry clean garments and is very safe to use.. Formal wear, evening gowns, ball dresses, silks, linens and wedding dresses. Shirts and pants are laundered and then pressed with your choice of light, medium, or heavy starch for a polished look. Shirts are placed on hangers or folded for travel at your request. Shirt buttons we damage are replaced at no charge to you. We also launder “wash, dry and fold items” Same day service * is available in most cases. We offer the exclusive Pillow-Vac Renovating System to clean pillows. Feather or Poly fill pillows are cleaned, fluffed, sanitized and placed in a new ticking (cover). Feathers/down may be added if needed. Fast efficient delivery to your home or office twice a week. We will provide you with laundry bags and tags, pick up, clean and return your clean and pressed garments with a clean empty laundry bag for your next service. Charges are billed to your credit card each delivery Watch for our delivery van on Mondays and Thursdays . You may call or e-mail us at FreeHomeDelivery@GulfCityCleaners.com to set up your service. Including Medical offices, restaurants, building maintenance departments, and off shore facilities. 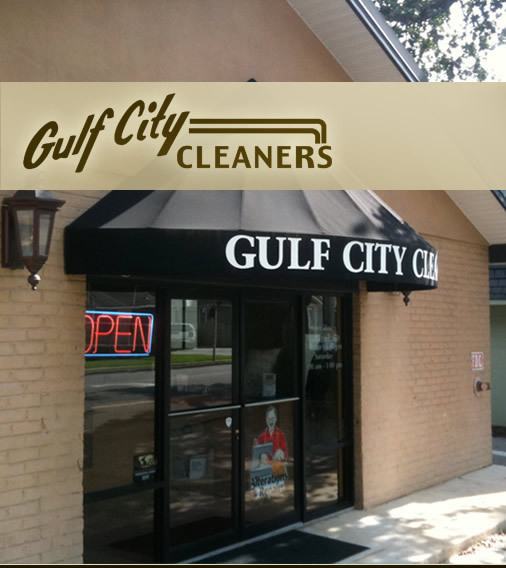 Gulf City Cleaners picks up and delivers to your business or dockside as needed. 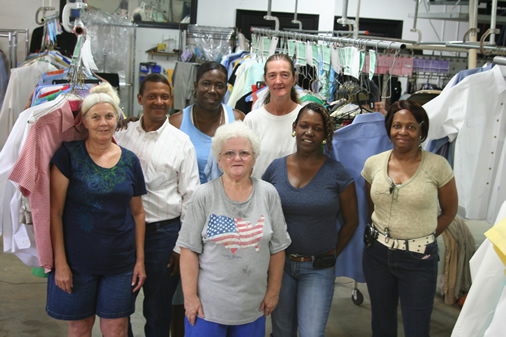 We have the experience to provide your business the linens, towels, mops, or patient gowns your staff and customers expect. Daily service provided Monday through Friday. Each delivery includes a manifest showing guest name and room number for easy billing and monthly statements follows for easy reconciliation. Basic alterations and repairs with quick turn around time. Most items are ready within three days. Any buttons damaged while in our care are replaced at no charge to you! We will attempt to find and replace them before you find them. Please let us know if we miss one! Flood or Smoke damage? Let us help restore your damaged items. 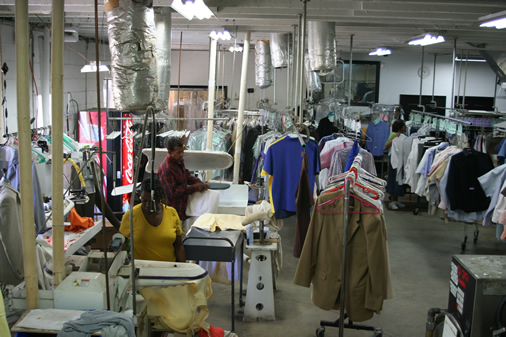 We can ozone those smoky items if necessary and dry clean or wash all other items as needed. We will work with your contractor or insurance carrier. Just give us a call.